Let me preface this posting with this. 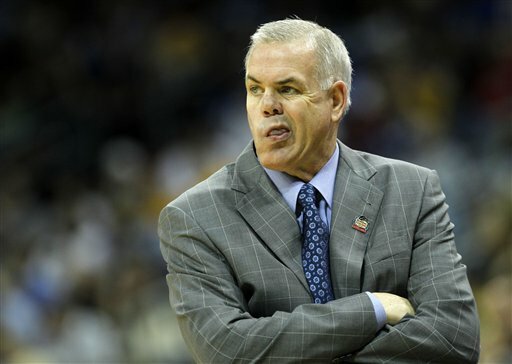 I love Dave Rose as the basketball coach at BYU. He has done so much for this program and will continue to do so. However, he has some major flaws that some people just aren't willing to say. Against Gonzaga and Saint Mary's, superior teams I might add, BYU has gotten out coached. Plain and simple. While I believe and honestly know that Dave Rose is an excellent coach, he has made some enormous blunders as the leader of this team. Those mistakes cost BYU their shot at key victories this season. Gonzaga time and time again found Kelly Olynyk in the soft spot of the zone and he made them pay. Gonzaga's big man lit the Cougars up, and not just in his scoring. Olynyk made quick decision at the free throw line, the soft spot of all zone defenses. His passing was crisp and quick. His shots were on the money, and his drives were strong and with a purpose. Despite this showcase of shredding a zone, Dave Rose continued to go with it down the stretch, even when BYU made their final move with about 10 minutes left in the game. This was a fatal coaching decision. BYU had not stopped the 7 footer from beating them all game, yet they invited him to camp in the same spot over and over again, and he made them pay over and over again. I am not sure why BYU thought that zone would work? It hadn't before against weaker competition, what did you expect from a legitimate top 5 team? Gonzaga is extremely well coached and disciplined, something BYU has to work on. Secondly, Tyler Haws has had difficulty getting open, especially against the better teams on the cougars schedule. Which leads to my next problem with coach Roses offensive approach. Haws inability to get open. While some may place this blame on Haws, I see it as Roses mistake. The same play is run at least 15 times to get Haws open, each time it being in vain. Gonzaga had that play scouted and were ready for it. Yet Rose did not make the adjustment to get Haws open in other ways. The nations 7th leading scorer had an awful game, where when he actually was able to catch the ball he forced up bad shots. Against Saint Mary's, BYU showed their biggest weakness. Rebounding. This team is just not a good rebounding team. To compound that problem, zone defenses are extremely hard to get rebounds off of, considering the lack of player-for-player accountability. Yet, Rose stuck with the defense. Against the Geals I will admit it was an improved zone, but they still couldn't crash the glass. All in all, I am not calling for Dave Roses head. Not by a long shot. He is an excellent coach. I just noticed these flaws in the last few games and they were driving me nuts. Anyone who has played basketball knows you can get open with the right play calls. Rose has had trouble finding those schematics.